Well just ordered the Garmin 7212 with the CM599LM transducer and the 7608xsv with the GT51m-Tm transducer. I should be good shallow and deep! $3100.00 3KW transducer! Gonna need the GSD26 to power that! That is about the best set up for shallow and deep! Oh yeah forgot that component. I got the GSD-26 sonar unit as well! Can't wait to get it in! And I got the CM599LM for $2800. Yeah and hopefully the current software fixes that problem. I just bought a 1042xsv and the GT51 transom mount. The 1042xsv only has the 12 pin connector so I can't go dual band but I am hoping that the GT51 will do anything and everything up to around 500' of water which is where I will be spending 95% of my time anyway. Bought a new, (to me) sled, 2001 27 Cape Horn with a set of 2016 250 zukes on the back. Has 7610xsv, HB Onix10 and a 740s along with 48 mile HD radar. Going to have to buy new transducer for this ride as the gt23tm is marginal at best, and it has a smashed cable. I think I am going to end up with at least a B175M initially, but at some point I am going to want to target Swords. What transducers are giving you the best results fishing for Grouper/Tile and Swords? We installed an Airmar B175L in September to go with our 7608xsv. We can mark bottom to 2000+ft no problem. We can mark bait in 1000ft no problem. It does not mark bait in detail when swordfishing in 1400ft of water or deeper. But you can tell areas where there is bait after you get used to reading it. We have marked swordfish during the day in 1500ft of water using it but I wouldn’t expect to drive around and find them using it. I think knowing how to tune the machine is more important than anything. In general we have been very happy with the B175L. It was a game changer for us. Nice! 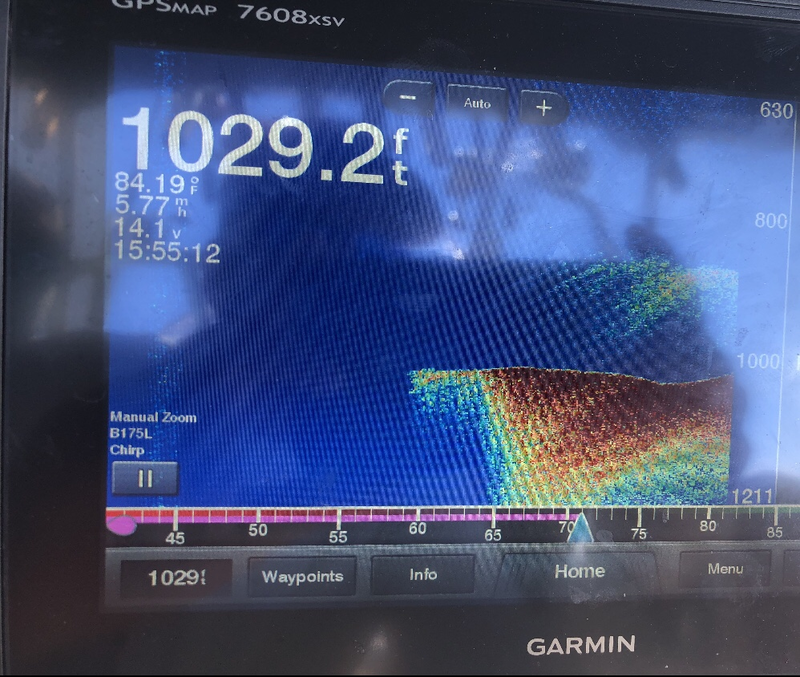 Just ordered Simrad AP44 and a B175M from Semperfifishing.com. 3200.00 for both with hydraulic connection kit. Should be here Friday for a Saturday install! Will post up screen shots of deep performance when the weather lets me get out there. I looked at the B175L as well, there were several threads discussing issues with that transducer. Hopefully they were able to work them out. Installed the B175M. Fantastic transducer for what I am doing right now! No screen shots to share yet, but will post up when I get some good deep shots. On another note, seeing that this is an old thread I started when I was upgrading electronics on the old Mako. The Diawa Tanicom 1000 has been an absolute beast. Landed several Donkey AJ's, loads of BFT, a couple of Warsaw Grouper a box or two of Tile, Barrel and Beards and truckloads of big fat snapper. It is still going strong! Glad to hear the B175M is working well. I have one waiting to install...just can't make myself drill that big hole!